We are a passionate content marketing agency that transforms small businesses into heroes through in-depth research, careful planning, unwavering dedication, and a constant strive for improvement. While full content marketing projects are the fastest way to grow your business, we understand that you might not be ready for a 5 figure monthly retainer with a digital marketing agency you just met. We can get to know each other through one of the digital marketing services listed below. You never know, this just might be the start of a beautiful friendship. How Link Building Process Works? Every project is different. To ensure we start on the right foot, we first need to see what is your budget, goals and what you want to get out of your link building campaign. In this step, we settle on a link building method you want to use and define all of the special requirements your campaign might have. Sending out generic filler content just to get a link is not something we like to do here at Point Visible. To be able to understand what your target audience is interested and what challenges/pain point they have, every project is preceded by an in-depth target audience research. Finding relevant sites in your niche that might be interested in sharing your content is a time-consuming task. That is why we use a combination of premium tools like Pitchbox, Ahrefs, and MOZ to find and inspect each site before we send them any suggestions. Having a horrible pitch is the fastest way to ruin any link building project. That is why we are careful to send personalized emails that reflect the effort we put into researching every website. While our experience lets us recognize which link building approach has a higher chance of working in your niche, that doesn’t mean the campaign can’t be further optimized based on the fresh input. Pitch length, subject lines, content type, website type…those are just some of the things that we track and tweak to improve the success of our link building campaigns. How Full-Cycle Content Marketing Works? Full content marketing campaigns are big projects with a lot of moving parts so there are a lot of things we need to discuss, with the main ones being your budget, goals, and expectations. We need to see where you are now, where do you want to be in a year or two, and how can we help you get there. Smart content marketing strategy is the backbone of any successful marketing project. It consists of researching your product/service (SWOT analysis, content GAP analysis…), niche, market position, target audience, keywords, and competitors. It is a 50+ page document that usually takes us about one month to complete. In the content marketing strategy, you will find our suggested plan of on-page and off-page activities customized to your goals. Before you commit to anything, we sit down for another chat to ensure nothing is left in the air and polish our plan of action for the next 3-6 months. 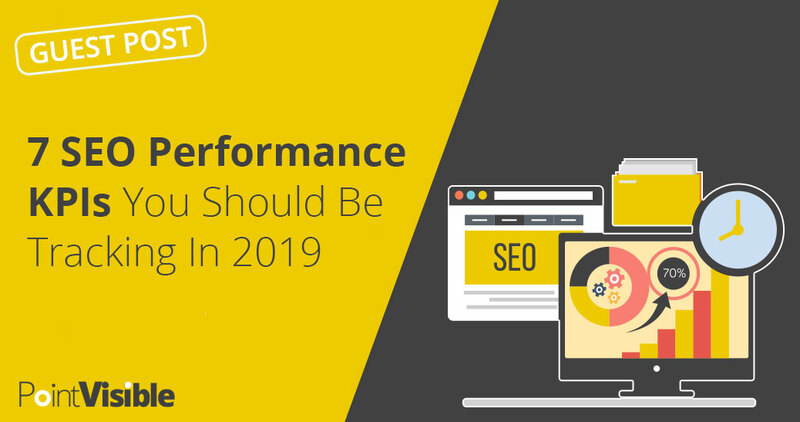 While the full effect of content marketing starts to show about 6 months in (sooner if we are not starting from scratch), that doesn’t mean we can’ track and optimize each SEO activity in its own right. As the project develops and we get an even deeper understanding of your business and target audience, we will work on tweaking the initial strategy to reach set goals as soon as possible. How On-Page SEO Process Works? Before we create a plan of actions, there are some details that have to be sorted out. Mainly, we need to check the current state of your pages and discuss the budget and the number of pages that you want to see optimized. After we have a clear picture of the work that needs to be done, we can help you define all of the special requirements of your campaign like pages that will be optimized and the keywords we will optimize them for. On-page optimization is a straightforward process but it does require a certain dose of creativity. We track all the changes made in a spreadsheet so we can quickly roll back anything you are not satisfied with. We use a tool called mySiteAuditor to review how well is your page optimized for a certain keyword. It allows us to show you the progress we made for each and every keyword. How Do Link Audit & Penalty Recover Processes Work? Before any real work is done, we need to see what kind of problem you have, what is the best course of action to solve it, and how much work needs to be done. After we review your backlink profile and estimate the volume of work that will have to be done, we send you a budget proposal after which you can decide if you want to proceed with the project or not. Using a wide variety of leading backlink analyzing tools, we will make a list of all links pointing towards your site. Every live link is manually inspected and classified as “natural” or “unnatural”. After that, we try to contact site owners where unnatural links have been found with a request to remove them. All of the links that couldn’t be removed in the last step are put on the disavow list and attached to the reconsideration request. If we don’t get a positive response from Google, we re-review the links that are in the grey area, tweak the disavow file accordingly and resubmit the reconsideration letter. Rinse and repeat until the penalty is lifted. Or check if we’re online on the chat window in the corner below. WHAT MAKES POINT VISIBLE THE RIGHT MARKETING AGENCY FOR YOU? We’re not a digital marketing agency that thinks it knows everything. If you are not satisfied with a certain element in your campaign, we have no problem discussing potential changes as you might hold a piece of information we are missing. While you have the last word, we will make it perfectly clear if we disagree with a certain course of action you want to take. You’re a busy person and don’t have time to change your workflow but you still want to track the progress of your campaigns? No problem, we let you choose how often and through which communication channel you want to be updated. It is only natural to want to know where is your money being spent. That’s why we developed custom reports for most of our marketing activities and they are readily available at all times. While the availability and the response speed are important, what we are especially proud of is the effort we put into our answers. We don’t mind taking additional time to educate our clients, even if that isn’t in the budget. Content marketing is a dynamic field and you need to stay on your toes if you want to keep up with new trends in the industry. One way we do that is by constantly testing new marketing techniques. If something proves effective, we’re always ready to discuss how to incorporate it into your own campaign. A dedicated, professional digital marketing team. I’ve worked with Point Visible for nearly a year now and at every turn, they have been reliable, efficient and completely exceeded my expectations. They have managed my blogger outreach and guest posting campaign exactly how I wanted and have secured spots on some of the biggest names in my industry. I would highly recommend Point Visible if you need an SEO company who are trustworthy, hardworking, reliable and most importantly get results. I have been nothing but impressed with this service and I cannot recommend them enough! Communication with them has been nothing short of stellar. I am thoroughly impressed by how professional both they and their service have been. They’re in the process of writing the articles now. One of the sites that they secured a post on is way, way above what I paid for. I have been nothing but impressed with this service. I cannot recommend them enough. If you are serious about your site, they are the best value I’ve found in SEO. As long-time internet marketer, I have spent way too much money on SEO services over the years. I have seen it all when it comes to results, customer service and reliability. With that said, the #1 thing that sticks out about Point Visible is that they are flexible and do not have a “one size fits all” mentality. They research each project like it is their own and come up with the ideal solution for each. The ability to communicate and strategize with my SEO provider is one of my main considerations. They are very easy to work with and value your input. The majority of my projects with them have email threads with 30+ replies of ideas, recommendations, and work updates. They go the extra mile for their clients and understand that ROI works on both ends. Creative, detail oriented, and a pleasure to work with. Point Visible and Anita have been a real pleasure to work with. They are very creative, responsive, and have a high attention to detail. I highly recommend them. Great outreach from Point Visible! Great outreach from PointVisible. I got featured in a high visibility, high ranking blog and got 3 separate links from them. Their communication and customer service is superb! They are the real deal and provide quality whitehat guest post services. Many vendors say they will provide a legitimate guest post service just to provide a link that is obviously blackhat. If you want true whitehat services Point Visible is the right company to hire. Additionally, their communication and customer service is superb. I know exactly where we are at with each guest post we are going after. Point Visible has helped us increase our visibility and improve brand awareness through a well-executed outreach campaign that connected us with very respectable Media outlets and their editors. Hard work, creative ideas, dedicated account management and a high level of commitment is what assured us of continuing this great working relationship through even more challenging projects in the future. High-quality backlinks from some big websites in my industry. This company does a good job at getting good backlinks. They got us some high-quality backlinks by doing outreach from some big websites related to my websites industry. Phenomenal team! Working with Anita has been such a pleasure, not to mention the tenacity to be successful identifying guest post opportunities! I have been working with Point Visible for more than 1 year and they have always been providing an excellent service, with top class digital marketing solutions and great infographics campaigns. They always reply to any queries in a timely manner and have provided great advice and services when requested. Anita, our dedicated marketer has always been excellent in providing valuable ideas and designing our campaigns… Highly Recommended! Or check if we're online on the chat window in the corner below. Feeling unfulfilled with their current jobs in IT, our co-founders, Senko and Martina, decided it is time to start working on something they are actually passionate about. This was by no means a rash and impulsive decision. Content marketing was something that interested them from their college days, practically a hobby they decided to invest most of their free time on, and they've spent years learning about the best methods and practices in the industry before they realized this is where their professional passion is. After that, the journey continued through freelancing for crazy low prices just to get a chance to further their knowledge and gather necessary experience. When they felt the time was right, they founded Point Visible, a content marketing agency with a mission to help businesses communicate their ideas to the right audience in an aspiring, sustainable, transparent and strategic way - which eventually evolved into our slogan - transforming brands into heroes. There were some ups and downs along the way, but the ability to learn from their mistakes and the constant strive for improvement resulted in the agency you can see today. With time, the agency became a lot more than just their founders. As a result of a constant growth, Point Visible today gathers a respectable team of young, motivated experts with years of experience in various fields, including link building, content marketing, PPC, copywriting, email marketing, graphic design, CRO and analytics, and handles projects with clients from 3 different continents. How do you find and inspect potential link building opportunities? While this depends on the link building strategy we are using, it is usually a combination of manual search, prospecting with an outreach tool called Pitchbox and analyzing competitors backlink profiles with Ahrefs. The reason we are not defining exact numbers here is because acceptable metrics significantly vary from niche to niche. How do you come up with the right content ideas? Every piece of content for your website is based on an in-depth target audience research, keyword research, and defined content strategy. If we talk about topic ideas for things like guest posts, they are also revolving around challenges and pain points we identify during the analysis of your target audience, as well as news and trends in your industry. Be it an e-mail sequence, an infographic, or a guest post, the goal is always the same - craft the content around an idea that will catch the gaze of your target audience. Can I track the progress of my projects/campaigns? Every project you do with us gets its own space in our project management tool and a dedicated project manager. You can track the progress of your campaigns by logging into our PM tool or asking your dedicated project manager for an update via Skype or email. We are aware that not everyone has time for that so we do send you regular updates whenever there is any bigger development on the project. Can I track on what is my budget being spent on? Of course. A detailed budget and spending report is available at any moment and it's updated on daily basis.